Since there has been much evasion and obfuscation about Hillary Rodham Clinton's email use, it seems appropriate to step back and simply review what we know in light of the law. It's also instructive to compare Clinton's situation to arguably the most famous case of our time related to the improper handling of classified materials, namely, the case of Gen. David Petraeus. On April 23, Petraeus pled guilty to a single misdemeanor charge of unauthorized removal and retention of classified documents or materials under 18 USC 1924. Many in the intelligence community were outraged at the perceived "slap on the wrist" he received, at a time when the Justice Department was seeking very strong penalties against lesser officials for leaks to the media. According to the law, there are five elements that must be met for a violation of the statute, and they can all be found in section (a) of the statute: "(1) Whoever, being an officer, employee, contractor, or consultant of the United States, and, (2) by virtue of his office, employment, position, or contract, becomes possessed of documents or materials containing classified information of the United States, (3) knowingly removes such documents or materials (4) without authority and (5) with the intent to retain such documents or materials at an unauthorized location [shall be guilty of this offense]." The Petraeus case meets those conditions. Does Clinton's? She then fell back on the claim that none of the emails in question was "marked classified" at the time she was dealing with them. The marking is not what makes the material classified; it's the nature of the information itself. As secretary of state, Clinton knew this, and in fact she would have been re-briefed annually on this point as a condition of maintaining her clearance to access classified information. Then there's location. Clinton knowingly set up her email system to route 100 percent of her emails to and through her unsecured server (including keeping copies stored on the server). 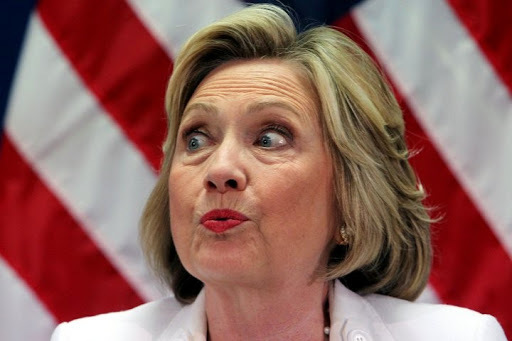 She knowingly removed such documents and materials from authorized locations (her authorized devices and secure government networks) to an unauthorized location (her server). When Clinton would draft an email based on classified information, she was drafting that email on an authorized Blackberry, iPad or computer. But when she hit "send," that email was knowingly routed to her unsecured server - an unauthorized location - for both storage and transfer. Next we have the lack of proper authority to move or hold classified information somewhere, i.e., the "unauthorized location." While it's possible for a private residence to be an "authorized" location, and it's also possible for non-government servers and networks to be "authorized" to house and transfer classified materials, there are specific and stringent requirements to achieve such status. Simply being secretary of state didn't allow Clinton to authorize herself to deviate from the requirements of retaining and transmitting classified documents, materials and information. Finally, there's the intent to "retain" the classified documents or materials at an unauthorized location. The very purpose of Clinton's server was to intentionally retain documents and materials - all emails and attachments - on the server in her house, including classified materials. The intent required is only to undertake the action, i.e., to retain the classified documents and materials in the unauthorized fashion addressed in this statute. That's it. It borders on inconceivable that Clinton didn't know that the emails she received, and more obviously, the emails that she created, stored and sent with the server, would contain classified information. Simply put, Mrs. Clinton is already in just as bad - or worse - of a legal situation than Petraeus faced. Does this mean she'll be charged? FBI Director James Comey has a long history of ignoring political pressure. So it's likely that the FBI will recommend prosecution, and then it will be up to President Obama's Justice Department to decide whether to proceed. Stay tuned.